Take weaving up a notch! 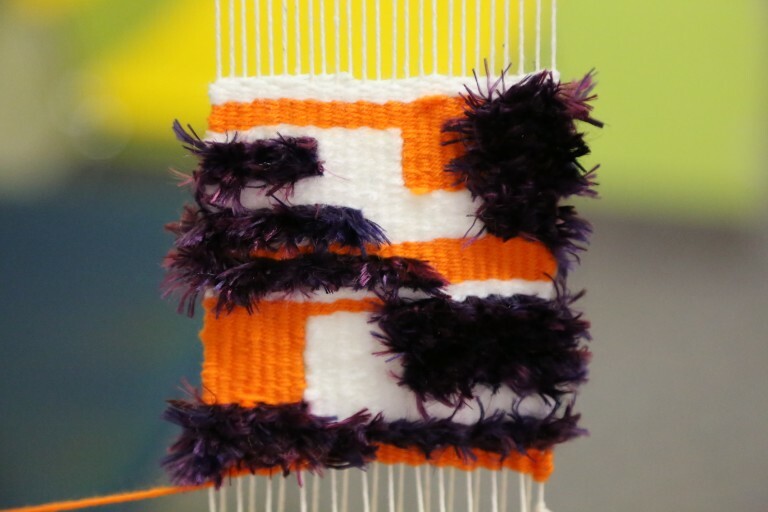 Get beyond basic weaving, and get chunky and fluffy by learning to create depth and texture with new techniques. Learn about contemporary artists who push the boundaries of weaving and explore techniques like soumac, rya knots, and pile to create textures like braids, fringe, and loops. Develop your own weaving style by experimenting with different yarns, fibers, and materials in many colors to achieve just the look you want. This camp is co-sponsored by the Weavers Guild of Minnesota. Thumb not so green? Create beautiful and delicate flowers with Merino wool and the Palm Washboard felting tool. This class will take you through the basics of making felted flowers using an easy technique to create single, double, and triple blossoms. The final flora can be used as decoration or to create unique accessories.